Mano's was opened in 1975 by my grandfather Emanuel, who was given the nickname "Mano". In 1994, "Mano" retired and my father John took over, having learned all the recipes in which "Mano" created. 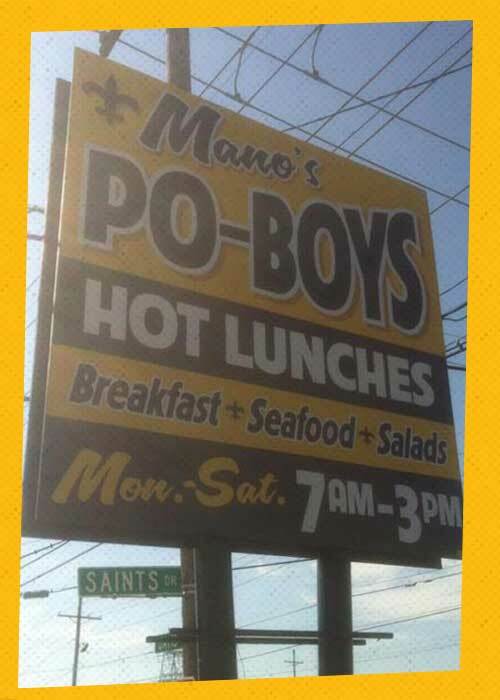 Adding a few of his own flavors to my grandfathers recipes, Mano's has been serving homemade lunches and po-boys for over 30 years. Located across the street from the New Orleans Saints old training facility, it was tradition for the players to eat lunch here after every practice. 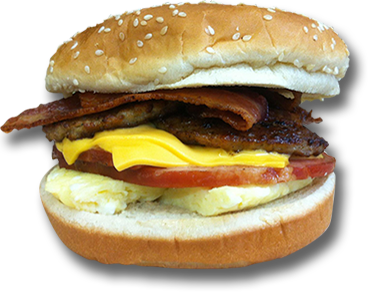 Our famous breakfast sandwich, the "Saints Special", was created because of its popularity with the players. In fact, the "Super Saints Special" is the new favorite among the players. To this day, the tradition lives on with the players frequently grabbing a bite to eat before and after practice. The decor on the inside is filled with autographed Saints memorabilia and jerseys from old and current players. So come give us a try and if your lucky you might be able to have lunch with a Saints player!